The Florida Panhandle is the last great regional culinary secret of the state of Florida. The foods and agriculture of Florida's Northwest Gulf of Mexico touch the cultural heart and soul of all who visit the region. With fresh seafood such as blue crab and grouper, just-picked produce such as peaches and corn, and traditional foods like fried catfish and hushpuppies, the Florida Panhandle is one of the last unwritten about culinary areas of the country. Geographically closer to Alabama, Mississippi, and Louisiana than Central and South Florida, Northwest Florida's cooking traditions are heavily influenced by the surrounding states. 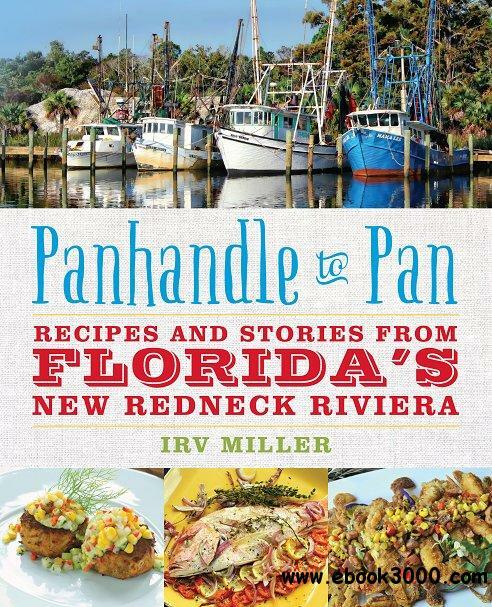 Chef Irv Miller, in his first cookbook Panhandle to Pan: 150 Recipes and Stories of Florida's New Redneck Riviera, takes readers on a journey through this agriculturally abundant region, sharing personal stories, expertise, and unique recipes from throughout the Florida Panhandle. With personalized head notes and sidebars, a historical timeline detailing how cuisine developed in the region, and recipes for every occasion, Panhandle to Pan is sure to convince readers that the Florida Panhandle is a lot more than sandy soil and real estate development.